SUPPORTED BY CREATIVE SCOTLAND & BRITISH COUNCIL. 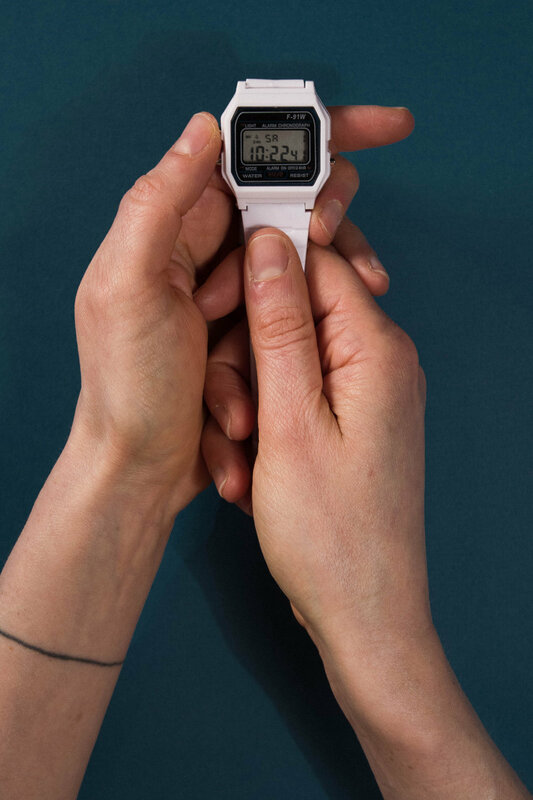 In a durational work that examines our unique relationship with time, Gillian and Adam will ask 1,440 people in Glasgow to share a specific time that is important to them, and over the course of 24 hours they will set an alarm for each of them to create a unique sonic sculpture. Gillian Jane Lees is a Glasgow based performance practitioner. She makes rigorous attempts to build and control her environment over hours, and sometimes days, by undertaking physically demanding and mentally exhausting durational performances. Gillian’s interest lies in the fleeting moment where her will to succeed meets her diminishing physical ability to complete each task. Adam York Gregory is a scientist, games designer, typesetter, film-maker and visual artist. His practice reflects each of these disciplines, often combining them to create novel areas of exploration, using his background in creating scientific investigations as a starting point for artistic explorations and methodologies. Together, their practice seeks to explore the notion of ‘the imagined ideal’ through subjective performance, objective experimentation, documentation and observation.